Harry Scovel grew up in Pascagoula, Mississippi and graduated from Pascagoula High School in 1982. He surrendered to preach in 1987 and has pastored churches in Louisiana and Mississippi. Harry graduated from MGCCC in 2000 and currently works there as an Infrastructure Technician. He married Carol Taylor of Wiggins in 1992. They currently live in Wiggins with their four children, Laura, Anna, Luke, and Caleb, who they homeschooled. Brother Harry enjoys spending time with his family and serving his church family and hunting during the winter months. The Scovel family has been a part of NTBC since July of 2015. NTBC elected Brother Harry as an elder in February 2016. Jake Stone is a native of Gulfport, MS and has lived on the MS Gulf Coast his entire life. He was licensed to preach in February 2009 and began pastoring in May 2009. 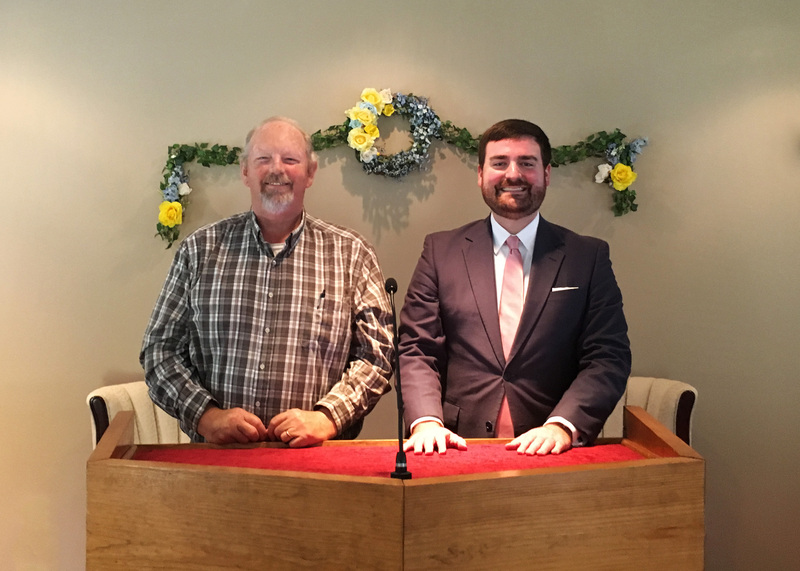 Pastor Jake served at a Baptist Church in Vancleave, MS from May 2009 until August 2011. After prayer and consideration, Pastor Jake began to serve full-time at New Testament beginning in August 2011. This began the relaunch and revitalization process of the church. Pastor Jake has served at NTBC ever since preaching expositionally through books of the Bible and teaching biblical theology. He credits the preaching ministries of John MacArthur, Steven J. Lawson, D.A. Carson, Al Mohler, Ligon Duncan, and Mark Dever as profound influences upon his ministry. He is currently pursuing his undergraduate degree from William Carey University in Hattiesburg, MS. In his spare time, he loves to read as well as follow all sports related to the University of Alabama (Roll Tide).